Containment Protocols: Instances of RPC-138 are to be kept within Alpha Refrigerator 12 at Site-023 when not being used for testing or consumption. RPC-138 may be used as an alternative beverage in the case of a security breach of RPC-███. Use of RPC-138 as an alternative beverage has been halted due to inappropriate handling from site employees. 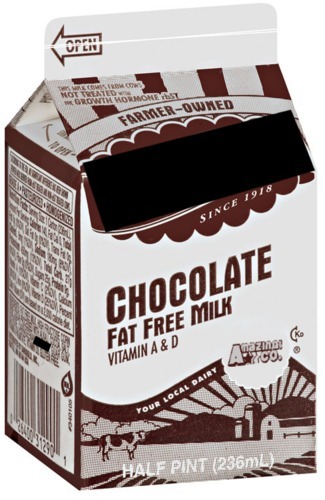 Description: RPC-138 is a pale brown liquid contained within ███ 236mL boxes of ████████1 brand chocolate milk. RPC-138 shares the same ingredients as leading brands of chocolate milk, except for a previously unknown ingredient, now referred to as ██████████. Consumption of RPC-138 has a psychoactive effect on the subject. Drinking RPC-138 will induce the consumer to experience a random milk flavor they are familiar with. With each subsequent drink of RPC-138, the flavor alters. Subjects are not required to have previously consumed flavored milk to taste it through the effects of RPC-138. The subject will taste what they assumed the flavor to resemble. Due to the effect of RPC-138 only being psychoactive, only the brain has to understand that a flavor is milk to taste it. CSD-4564 was convinced that Lemon Juice was a type of milk. Subsequently the taste of RPC-138 would sporadically be described as tasting acidic and tangy by CSD-4564. Subjects have varied emotional reactions when tasting an unexpected flavor, appearing distraught, upset, or in extreme cases angered. These have yet been proven to be an effect of RPC-138 or ingredient ██████████. Foreword: CSD-4556 was asked to drink RPC-138 from a drinking glass and describe the taste to Dr. ████████. CSD-4556's heart rate was measured after each drink. The objective is to document an example of an emotional reaction from a subject. Dr. ████████: Just go ahead whenever you are ready. CSD-4556: …what? Why is it… like normal milk? Isn't this chocolate? Dr. ████████: Please stay calm CSD-4556. One more time please. CSD-4556: NOT [REDACTED][REDACTED] SOY! [REDACTED]! Closing Statement: Dr. ████████ quickly vacated the interview room as CSD-4556's rampage continued. Interviews involving the consumption of RPC-138 will now be performed over speaker. The drinking glass will be replaced with a plastic cup. Excessive consumption of RPC-138 incites a secondary effect, where for the coming █ hours to █ days the subject is only able to taste flavored milk. The flavors continue to shift in this state every time the subject swallows their own saliva, which also tastes like flavored milk. Subjects report this effect to be extremely distressing and sometimes traumatic. Addendum 138-1: Recreating the taste shifting effects of RPC-138 using ingredient ██████████ has been unsuccessful; however, using RPC-138, on-site chefs have produced ice cream2, smoothies, milkshakes, and various alcoholic beverages3 with the taste shifting effects of the regular form. Addendum 138-2: Although the boxes containing RPC-138 have expiration dates, not a single instance of RPC-138 has gone sour. It is unsure whether this is another effect of ingredient ██████████, or a separate anomalous effect. Addendum 138-3: RPC-138 is not lactose-free. Foreword: Over speaker, CSD-4587 was asked to drink RPC-138 from a plastic cup. CSD-4587 is lactose intolerant, but this knowledge has been removed from him. CSD-4587 knows only of lactose free milk. CSD-4587 will only refer to lactose free milk as LFM. Dr. ████████: Go ahead when ready CSD-4587. CSD-4587: This stuff won't kill me will it? It isn't like the soda that [DATA EXPUNGED] CSD-████? Right? Closing Statement: CSD-4587 was escorted from the room for amnestics treatment. Interview to be continued on a later date. Foreword: Over speaker, CSD-4587 was asked to drink RPC-138 from a plastic cup.CSD-4587 is lactose intolerant, but this knowledge has been removed from him. CSD-4587 knows only of lactose free milk. CSD-4587 will only refer to lactose free milk as LFM. CSD-4587: Hmm… isn't LFM usually white? Closing Statement: CSD-4587 would experience stomach cramps, belching, and later diarrhea. This further proves that RPC-138's effect is only psychoactive. From reading the interview logs of RPC-138, I was made aware of the possibilities for use in an investigation. At the moment at Site-██, we have a set of amnestic resistant entities keeping information from us. Personally, I think RPC-138 could work spectacularly as a torture device without having to physically harm the subject. I formally request ██ boxes of RPC-138 at Site-██ by approval from Site-██ Director ████████. Request approved. ██ boxes of RPC-138 will arrive shortly at Site-██. 2. RPC-138 Ice Cream was made for Dr. ████████'s birthday. This inspired other developments of RPC-138 styled substances. 3. Use of RPC-138 to make alcoholic beverages is prohibited after Agent ██████ shot multiple CSD personnel in a fit of rage most likely due to the combined effects of RPC-138 and █ White Russians.